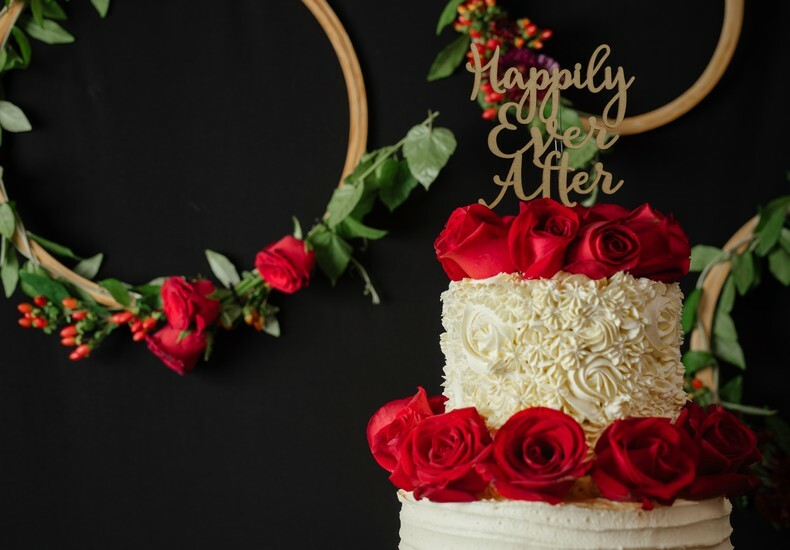 Cutting into the wedding cake and feeding each other a slice is certainly a meaningful part of your wedding celebration. Style i.e. classic, quirky or modern designs? Shape i.e. round, square, rectangle or irregular? Flavour. i.e. traditional or contemporary? A single flavour or a combination? Frosting i.e. buttercream, marzipan or royal icing? 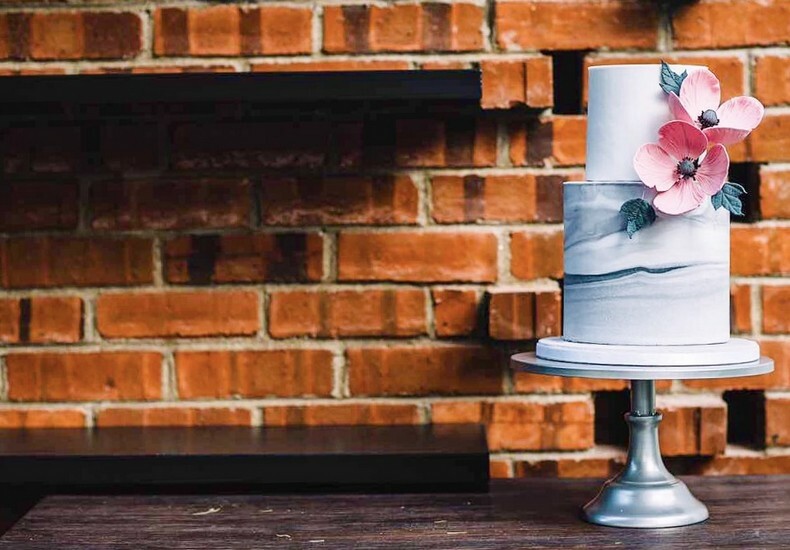 Bakery that also does wedding cakes. 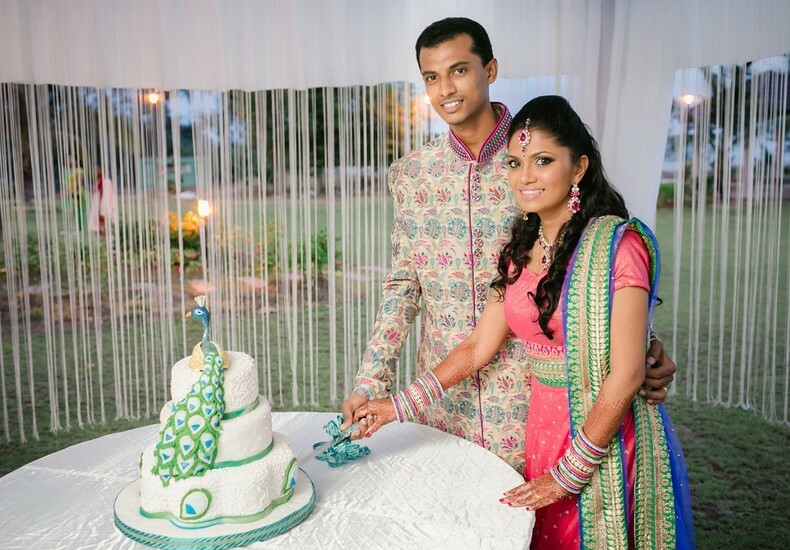 A specialist wedding cake designer. Select from a design catalogue or commission a custom design? Will the cake be delivered and assembled or will someone from your wedding party have to collect? 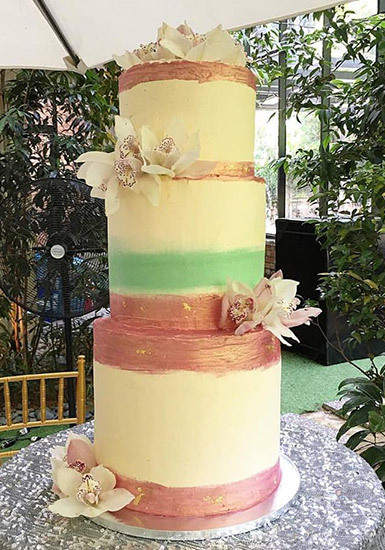 Where will you display the cake at the wedding banquet? During which part of the banquet will you cut the cake? 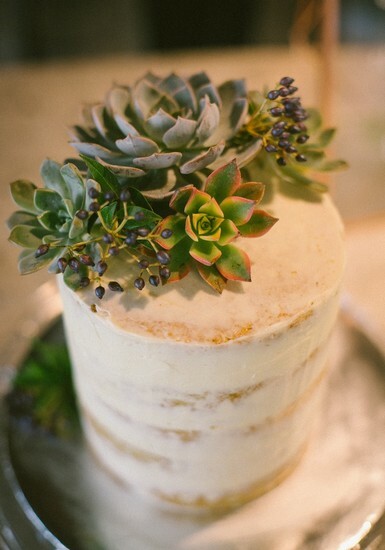 Are you serving the cake as dessert or will it only be for you as a couple? Tip : Embellishing your cake with fresh flowers will be less costly when compared to sugar paste flowers. Check out our partner designers here.